I wasn’t entirely sure what to expect when I cracked open this novel. 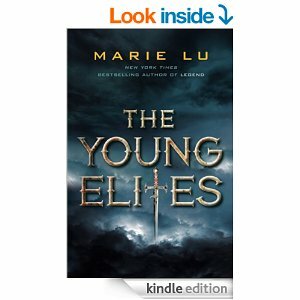 I enjoyed Marie Lu’s Legend Series, so I assumed I would also like this, but it is Fantasy, and I don’t read a lot of Fantasy. It definitely wasn’t what I was expecting in the main character of Adelina Amouteru. Besides the fact I couldn’t pronounce her last name, she was dark. Very dark, and Marie calls this the villain’s story at the back of the book. While I didn’t necessarily see her as the villain, she was an intense character with a lot of baggage. You see her make choices that you know will lead to her downfall (kind of like Anakin Skywalker in Revenge of the Sith) but you still want her to win or that her choice won’t lead to the eventualities you’re expecting. And don’t expect a rosy happy ending. Having read Marie Lu’s work before, I wasn’t expecting sunshine and rainbows, but I also wasn’t prepared for what actually happens. As usual, Lu is great at endings, even if they don’t leave you warm and snuggly afterwards. So basically I loved this book, if I haven’t said that already. It was superbly written, which I needed after some sub-par YA’s I’ve read recently. The characters were intensely deep and I loved the stories of Adelina’s youth, and her reactions to what happened. They seem sinister and potentially evil, but I could see myself in her interactions with her little sister. Sisterhood is a rare bond bordered on both sides by hate and love. I can’t wait to read more of this series, though I’m sure it will be heart rending from start to finish. I expect “good” to prevail in the end, but I actually like when characters don’t walk away from stories like this with their happily-ever-after. HEA’s are unrealistic after people suffer so much. I prefer as-happy-as-you-can-be endings. 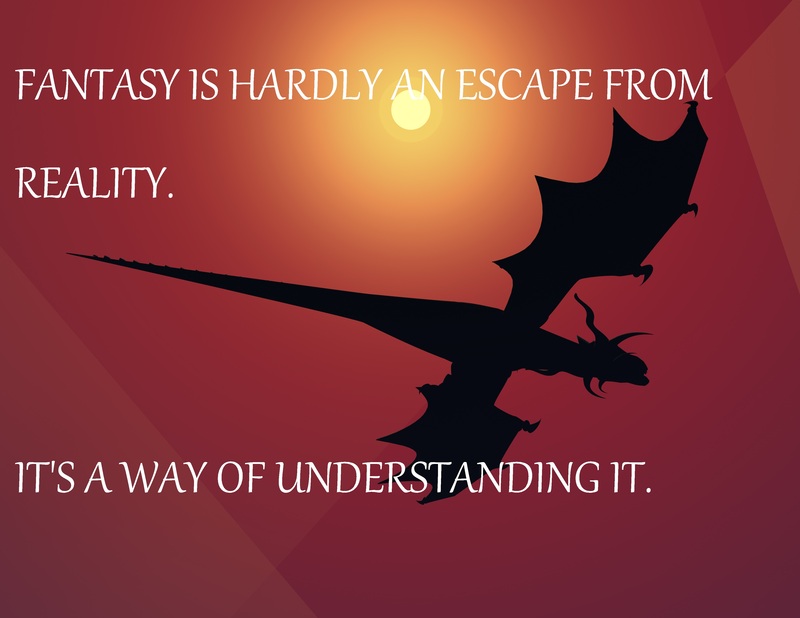 Motivational Monday: Escape from reality . . .
2am and I’m still awake writing a song. If I get it all down on paper it’s no longer inside of me threatening the life it belongs to. 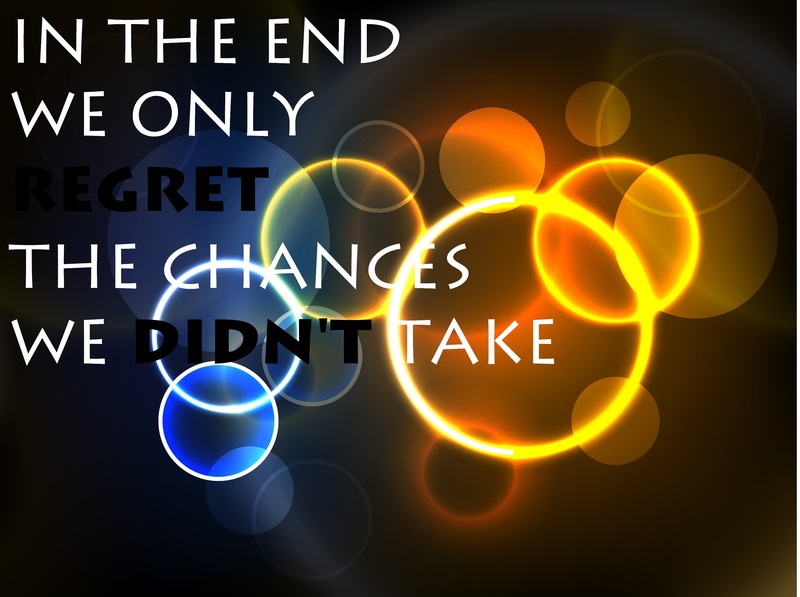 Motivational Monday: Regret . . .
And the Stupidity Award goes to . . .
Why am I posting this? Because I feel like it will inspire us all to be less arrogant, less egotistical, less self-absorbed and hopefully, less stupid. 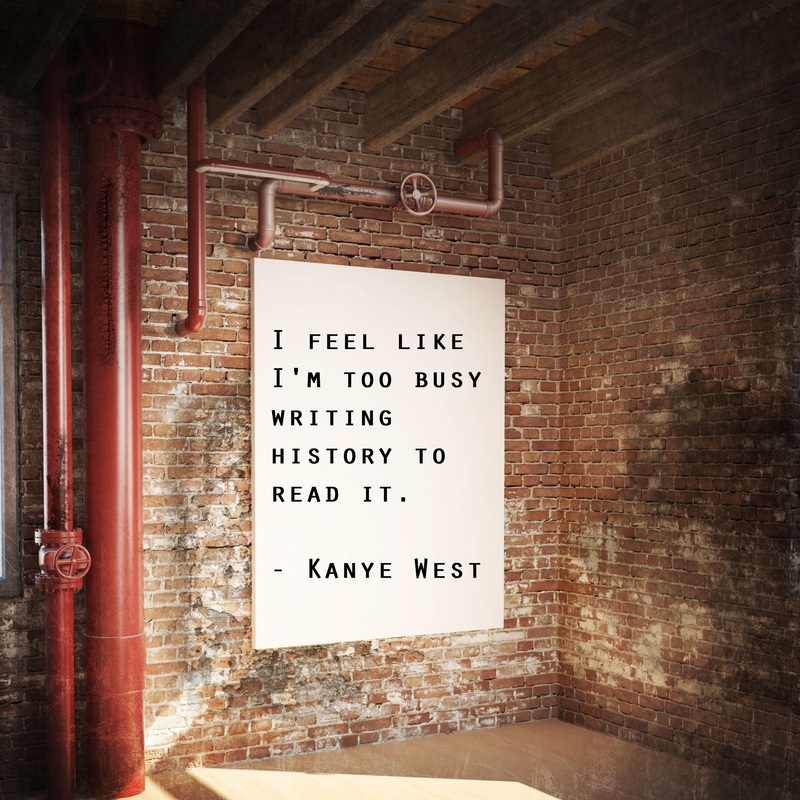 Yes, Mr. West, you win. Hands down. In the thirty-seven years since Neil Armstrong walked on the moon, space travel has seemed more and more a routine enterprise-at least until the shuttle Columbia blew up, and the Challenger before it, reminding us, once again, that the peril is all too real. TOO FAR FROM HOME vividly captures the dangerous realities of space travel. Every time an astronaut makes the trip into space, he faces the risk of death from the slightest mechanical error or instance of bad luck: a cracked O-ring, an errant piece of space junk, an oxygen leak….There are a myriad of frighteningly probable events that would result in an astronaut’s instant death. Yet for a special breed of individual, the call of space is worth the risk. Men such as American astronauts Donald Pettit and Kenneth Bowersox and Russian flight engineer Nikolai Budarin, who in February 2003 were on what was to be a routine fourteen-week mission maintaining the International Space Station. But then the shuttle Columbia exploded beneath them. Despite the numerous news reports examining the tragedy, the public remained largely unaware that three men were still orbiting the earth. With the launch program suspended indefinitely, these astronauts had suddenly lost their ride back to earth. TOO FAR FROM HOME offers a vivid and detailed portrait of the odd life of the people who live in zero gravity. The book chronicles the efforts of the beleaguered mission controls in Houston and Moscow as they work frantically against the clock to bring their men home, ultimately settling on a plan that felt, at best, like a long shot. Latched to the side of the space station was a Russian-built Soyuz TMA-1 capsule,the rocket equivalent of a 1976 Gremlin. (It made headlines in 1971 when a malfunction left three Russian astronauts dead.) Despite the inherent danger, the Soyuz became the only hope to return Bowersox, Budarin, and Pettit home. Their harrowing journey back to earth is a powerful reminder that space travel remains an incredibly dangerous pursuit. Written with immediacy and an attention to detail, TOO FAR FROM HOME rivals the finest contemporary adventure-driven narrative nonfiction. I feel as if I don’t need to give much of a review after that blurb. It pretty much says it all, but I do have a few things to add, so here goes. The reason I read this book was for research. I don’t read non-fiction a whole lot. It’s not that I don’t like non-fiction, but there are only so many hours in a day and if I’m going to read, it’s going to be YA for learning and enjoyment. The only time I really read non-fiction is for research. My local library is a little low on space related books, so when I found this account of the Columbia disaster and the events following, I figured it was my best bet at learning what it is like to live in space. I was right. This book was exactly what I needed. I wanted to know what it was like for humans living in space, what it was like to blast off, what concerns and precautions were there in relation to space travel and space living. Some of it is obvious, but I learned so much just from reading this novel that I realized I really didn’t know anything about space exploration. Even better, it was a personalized account of the astronauts, their past, what they dealt with and how they related to each other. If you are going to do research on space, even for futuristic science fiction, I highly recommend this book. The prose kept me enthralled from the beginning, despite the fact I’ve never had any interest in space travel. Seriously, not even as a kid in the Shuttle Era, did I even entertain a thought about wanting to be an astronaut. It has never appealed to me. 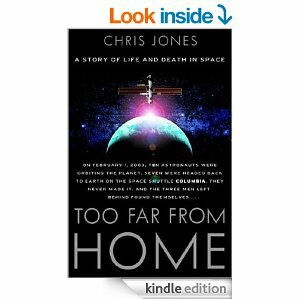 So for me to say I was completely engaged by this story is a testament to Chris Jones ability to stick to the facts, impart non-fiction knowledge, and still tell a good story. I cheated for the last third of the book and skimmed, but not because I was getting bored. I just knew I had a lot more research to do and this is a long book with small print. Though I enjoyed the personal stories of each astronaut, I needed to move on to other parts of my research. One thing it did highlight for me shortly after I concluded reading was the utter lack of acknowledged science in Science Fiction. I don’t read a lot of Sci-fi, so I don’t want to judge all of it, but I have read a few YA books lately, and they, and this book has prompted me to write a Keeping the Science in Science Fiction post you can look for next week. In conclusion, if you enjoy non-fiction adventure chronicles without a ton of action, or if you just like reading about space and astronauts, or if you are researching for a space related novel, this is the book for you. Maybe someday when time isn’t so pressing, I’ll go back and read every word with the rapt attention I gave the first 2/3’s of the book. But for now, I have a huge list of research to do, so it will have to wait! Because life’s for the living, so live it or you’re better off dead.